Today’s eCommerce industry is overstaffed with hundreds of platforms - from very simple to super advanced. Modern shopping carts offer impressive set of tools to great starts. In this endless sea of innovations it is extremely difficult to a common merchant to pick up one solution to run e-business. 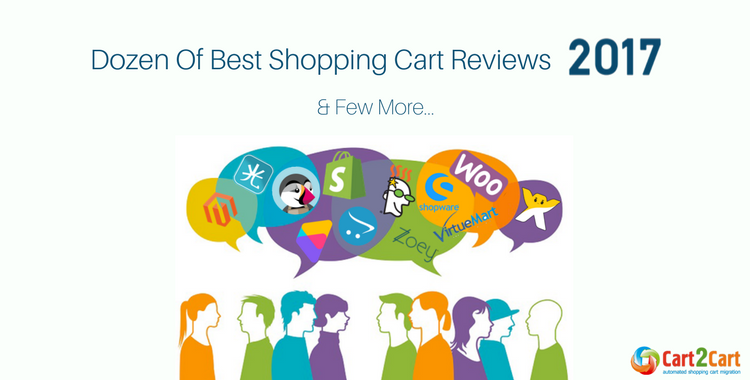 To soften this burden for you, we decided to make a quick digest of best shopping cart reviews and highlight the most popular and effective eCommerce platforms nowadays. We gladly hope that this list will help you for find your perfect match. That will be honest to start from reviews of luckies adored by millions of people. One of eCommerce industry favorites is Shopify - fully hosted solution that concurs the market rapidly. According to Shopify Reviews 2017 | 12 Key Things You Need To Know Shopify is powering more than half of million websites all over the world. 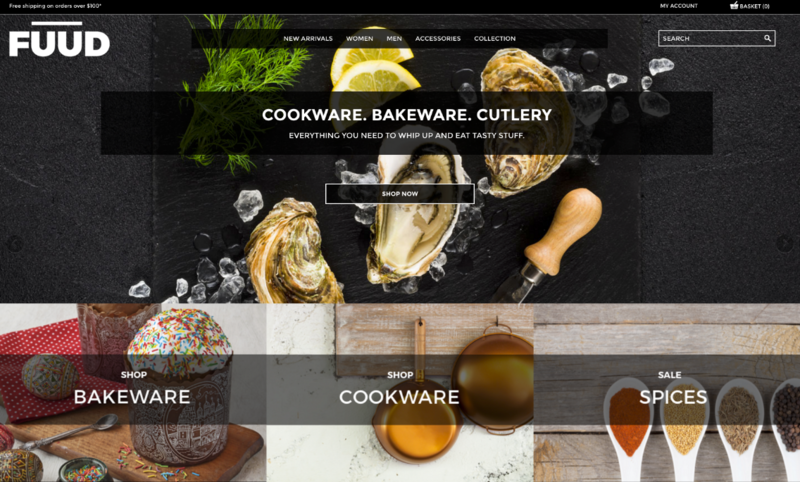 This platform offers over 100 beautiful, professionally designed and mobile ready storefront templates. Shopify is all eCommerce oriented, it is full of efficient tools to build progressive e-store. Shopify Reviews 2017 | 12 Key Things You Need To Know describes in details the main features of this comprehensive and flexible platform. It is mentioned that Shopify has the large App Store (more than 1,400 apps) to extend the functionality of your e-store even more. There you can find everything from accounting, customer service, marketing tools to shipping and reporting. This is definitely, one of Shopify strengths, even though you probably won't need all of these tools, but you always have a choice and can pick up what you like. One of other pluses offered by Shopify is 24/7 support which is reachable through phone, live chats and emails. According to another interesting research of Shopify features, made by ecommerce-platforms(dot)com, new platform’s design (purple colors) is made to create more contrast to those sellers with high and low light environment. Besides all that, Shopify added a brand new search bar and completely new Shopify Sections feature. Now the visual editor provides you with range of content sessions that you can insert into your Shopify homepage. For example, you want to place a button to the top of the page - that could be done with one mouse click. You can adjust the order of all those sessions by dragging and dropping them in your sidebar. It is an awesome addition to make enjoyable experience of running your store, especially for beginners. The best way to review Shopify features is to compare this platform with its biggest competitor - another hosted solution that always try to go in feet with Shopify - Volusion. It has intuitive and thoughtfully organized system with around 900 out of the box features. As stated on the official Volution website - merchants earned more than 26 billion on selling via this platform. Shopify vs Volusion shopping cart review highlights the differences between these solutions, in particular that Volusion leaves Shopify far behind in quantity of templates. Volusion offers 360 beautifully looking themes, but only 233 of them are responsive in all devices. Contrary, almost every Shopify template is reachable via mobiles, tablets and PCs. Volusion is cheaper than Shopify and the lowest plan starts from $15 per month and vary to $135 (Shopify varies from $29-$299). By the way, Volusion doesn’t charge fees for transaction unlike Shopify. Though Shopify can boast of extensive App store and unlimited bandwidth. The choice i always yours, go through this comparison to find which platform fits your goals more accurately. One of the platforms that is never out of any reviews is Magento. It is the world’s most flexible solution that offers truly exciting top-notch functionality. 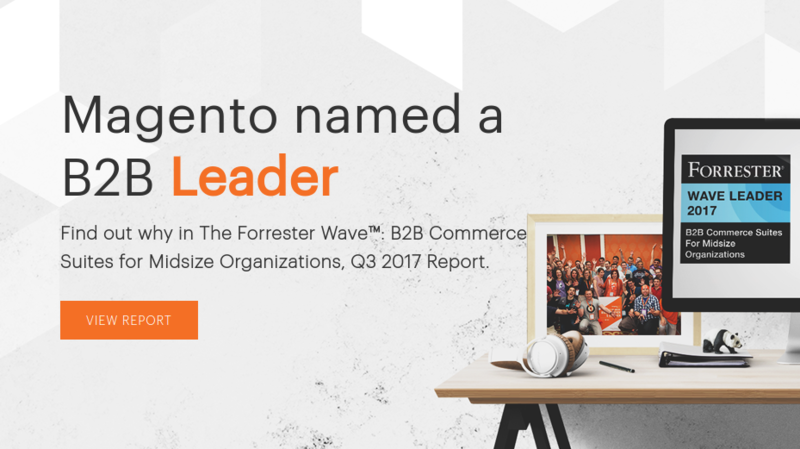 As stated on the official website, Magento is named a B2B eCommerce industry leader in 2017. This shopping cart review is one of few that concentrates only on Magento 2.1 new features and describes all the new platforms possibilities to drive sales and improve performance. As Magento is open-source solution, it provides you with full access to your code and enables you do to any manipulations according to your tech skills (yes, this platform will be a challenge for non-techsavies). To get deeper into details and find out what’s more is offered by Magento Community Edition and Enterprise Edition, don’t scroll down and check the whole What’s new in Magento 2.1? New features and enhancements review. OpenCart is another leading open-source platform. This shopping cart can be proud of impressive site speed due to running on AJAX technology. And we need to mention that one of OpenCart main features is the ability to work with multiple languages & currency. 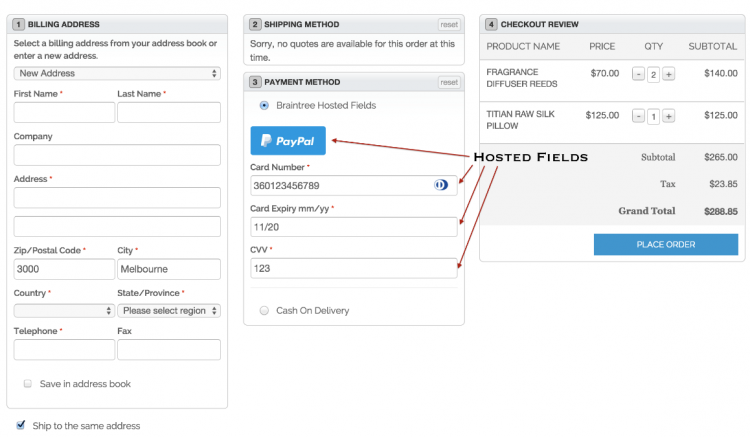 In the next review that we want to feature, the latest OpenCart version is highlighted in details. 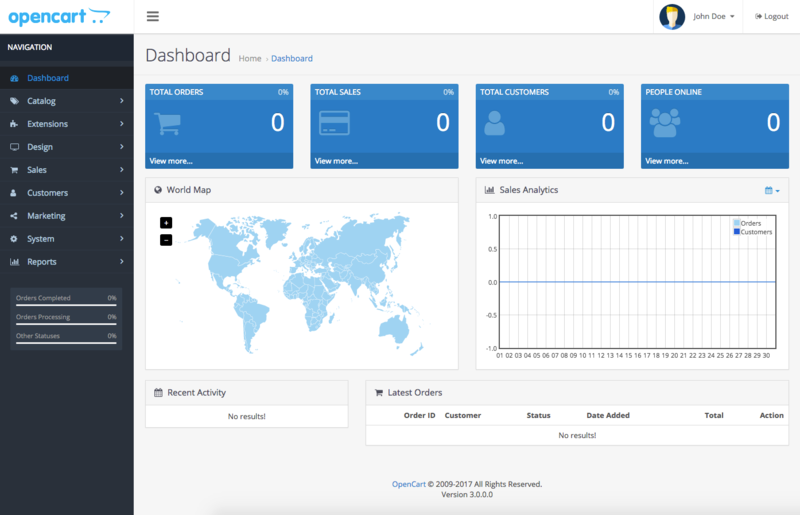 With much wider list of new features, OpenCart 3 can boast of completely new interface design. Now it looks more elegant, compact and clear. This is a new chapter in OpenCart story that can’t stay unnoticed! Proceed with reading the whole How To Upgrade OpenCart To The Latest Version | OpenCart 3.0 Features review to keep up with time. 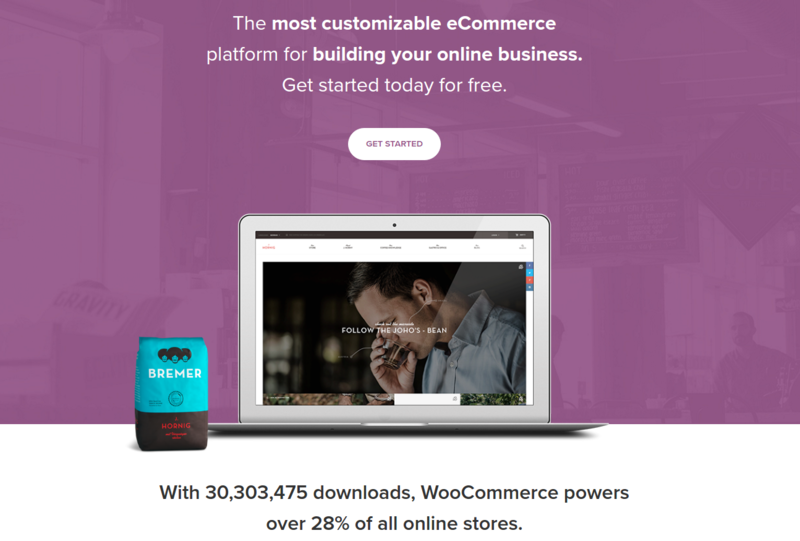 Our hit parade of best platforms overlook continues the great shopping cart review of WooCommerce - most popular eCommerce plugin for WordPress that powers 28% of websites all over the world. This insightful research describes Top 5 Ecommerce Platforms provides readers with comparison of their main features, advantages and disadvantages. Such a profound review just can’t leave you indifferent. In ECommerce Platforms Comparison 2017: Shopify vs Magento vs WooCommerce vs OpenCart vs PrestaShop it is stated that WooCommerce is extendable and fully open-source - that means that the code is available to view, modify or contribute as you wish. This makes WooCommerce highly flexible solution. By the way, it is worth mentioning that WooCommerce has some advantages over Shopify and Magento when it comes to design. 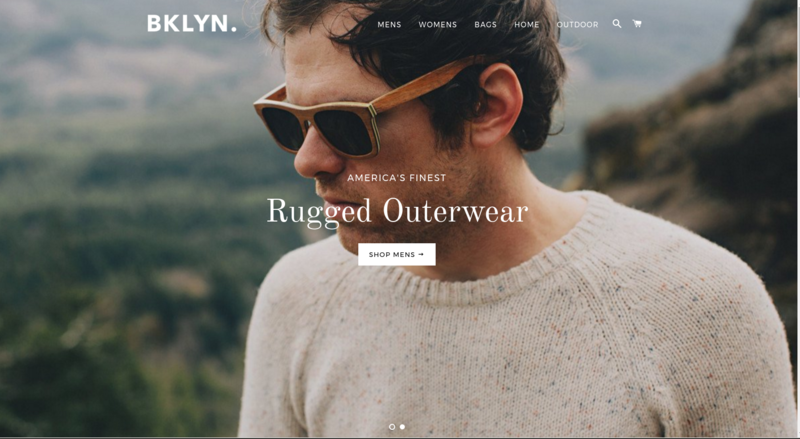 Along with native WooCommerce themes you can adapt any WordPress template to your store (there are thousands of them in web). There is another powerful solution that we still didn’t mention in our digest of best reviews, which takes its place in Top 5 eCommerce platforms in 2017 - PrestaShop. In Top 5 Ecommerce Platforms Comparison PrestaShop is named the “golden middle” between complexity and flexibility of Magento and Shopify thoughtful simplicity. PrestaShop offers unique features e.g Intelligent Merchant KPI and Forecasting that make platform’s statistical facilities more impressive. It is a user-friendly platform with sleek and modern dashboard that gives access to all needed settings. You’d better gather more information about leading market solution in ECommerce Platforms Comparison 2017: Shopify vs Magento vs WooCommerce vs OpenCart vs PrestaShop to find the best solution for your business. Shopware is another popular open-source solution you should know about. Shopware Review - A Winning Hand in High-Stakes Game describes the main features of this progressive platform - the most popular one among German-speaking community. Shopware is named powerful shopping cart that is lately often compared to Magento regarding technology. One of new features, I’d like to highlight in Shopware 5 is “Storytelling”. This emotional catalyst make shopping experience more enjoyable, because after clicking on image customer gets all further details of items that are connected to the image. 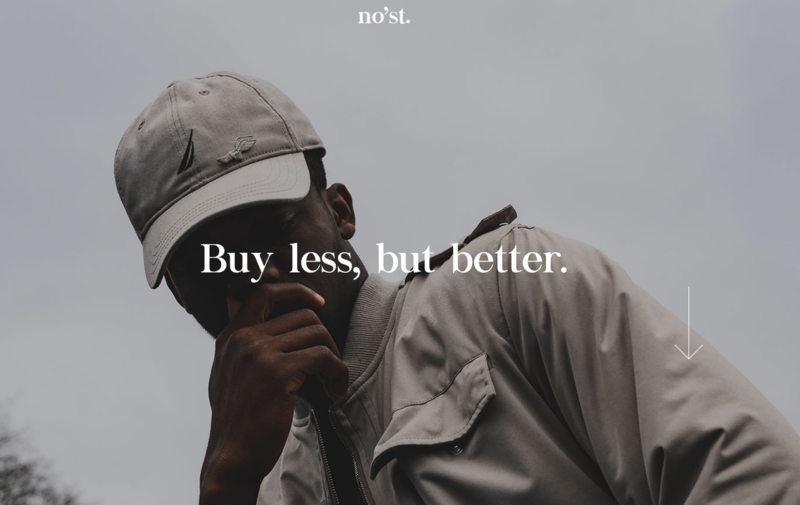 This approach inspires consumers to buy more and add uniqueness to your store. By the way, Shopware Review - A Winning Hand in High-Stakes Game states that platform offers stylish and customizable design opportunities. 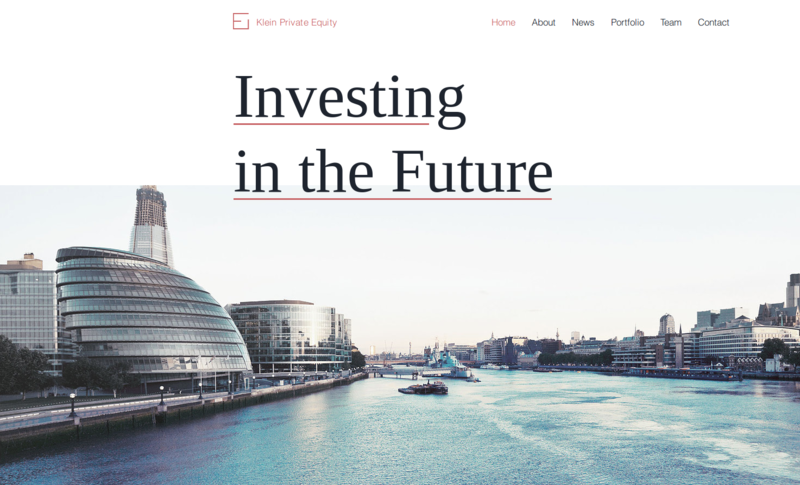 Its smart template system allows to change and modify certain areas, without affecting on the total pages’ look. Isn’t that great? You need to look at this solution more detaily. According to Shopware Review - A Winning Hand in High-Stakes Game, Shopware is the great option for those who want to benefit from effective marketing tools and set up professionally, packed with features sore with not much efforts. Proceed with reading the whole review to gather more info. Now lets come back to hosted platforms and talk about Zoey - Magento-based solution. This is a great option for regular (non-tech-savvy) merchants that offers complete ease of use, unlike its “parent”, with straightforward Admin Panel and full pack of eCommerce features. What is really exciting about this platform, as mentioned in Zoey Review is store design management - simple drag-and-drop editor that enables you to place elements wherever you want and offers advanced customization options for tech-lovers. Zoey also can boast of beautifully designed templates, always clear and FREE (that’s just awesome guys!). Though Zoey is not so famous, this solution looks promising and worth attention. It is created for those merchants who overgrown the functionality of “easiest” shopping carts, but still not ready to challenge the standard of eCommerce industry(yes,I mean Magento). One of Shopify competitors and very popular website builders is Wix. Why? Because it user-friendly and simple as piece of cake. Wix is adored by non-tech merchants thanks to famous drag-and-drop interface. 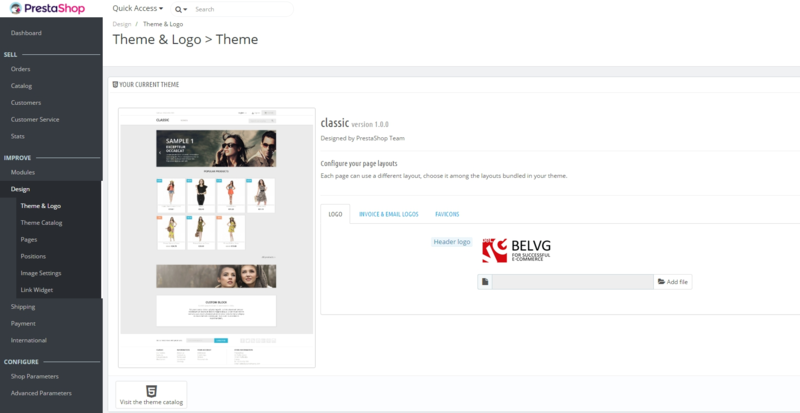 Wix was designed to maintain professionally-looking websites (not store), this explains why its eCommerce functionality look limited in comparison with other platforms. 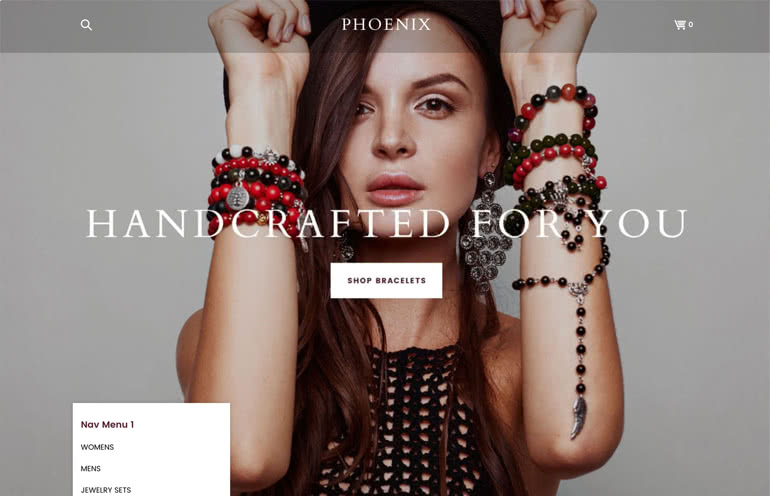 This platform is a great choice for creative minds, those who know how to create beauty and try to avoid mashing up with codes - this is an ideal platform to sell 100-500 items and concentrate on showcasing your content, applying stunning Wix templates. Every coin has two sides - Wix is not so good in SEO as it runs on AJAX technology, find out why in Wix eCommerce Review: Good but Could Be Better. Look, who’s here! GoCentral - the long awaited child of multibillion GoDaddy Inc. - largest America’s domain registrar and web hosting provider. GoCentral eCommerce is the combination of website builder and online shopping cart, that was released in 2014 with many expectations. GoDaddy is easy to set up - few clicks and you’re a lucky GoDaddy store owner, or not a lucky one? By the way, GoDaddy unlike other hosted solutions offers two times longer trial period - 30 days to get acquainted with this storebuilder. GoDaddy is WYSIWYG, that means “What You See Is What You Get”, drag and drop anything and facilitate your user experience to fullest. If you are in search of this total easiness, go into details of this solution - GoDaddy eCommerce Review. Few other platforms that worth your attention are based on Joomla. The number of Joomla eCommerce software grows rapidly, so in this review you’ll be lucky to find the most effective shopping carts for Joomla. VirtueMart - one of eCommerce plugins for Joomla offers extensive features to create competitive online store. This solution has a clear architecture and is easy both to use and customize. Virtuemart allows you to add unlimited items to your store and offers many out-of-the-box features : multiple currencies, multilanguage, orders tracking, custom attributes, guest check-out. One more eCommerce plugin for Joomla that in highlighted in Best Joomla Shopping Cart: Winners Found! review is HikaShop. It is very popular due to set of effective marketing tools (affiliate program, coupon codes, discounts, etc.) and powerful statistics and analytics that is displayed on the dashboard of your store to facilitate user experience. Isn’t in great? If you are in search of simple but flexible platform - HikaShop could be a good option. It always keep up with the times and provides competitive services to its users. These two are, honestly, good platforms, but you can find some more shopping cart based on Joomla in Best Joomla Shopping Cart: Winners Found! review and find your perfect match. This digest of dozen of best shopping cart was created to allay your fear of choosing the wrong platform and provide you with worthy options to think over. Remember: you are the one to choose a solution for your business, just be attentive to gather enough information about what candy you’re going to pick up from the pack. I kindly hope that this list of reviews will help you to find your ideal fit somehow, if that will not be enough take some time to find more information about the platforms you got interested in. Even if you pick a solution that will not fulfill your expectations - DON’T PANIC. There is always a way how to fix it! If you feel that your current platform does not correspond with your goals - you can automatically switch to any of mentioned above solution or 80 supported shopping carts by Cart2Cart migration service. How that sounds? Of course, that would be unfair not to explain you all. Stay focused! Cart2Cart is shopping cart migration service that can easily transfer your eCommerce data from one store to another within couple of hours. This service doesn’t require any tech or programming skills because all your entities will be automatically imported to a desirable platform after fulfilling few forms and givin required credentials. During the process of data migration, your current store will remain active and customers will be able to purchase products. Don’t worry, there are people to carry for you if you misunderstood something or made a mistake - 24/7 support is reachable through many challenges. Calls, live chats and tickets are at your disposal. What’s more, you have the ability to testify the service and perform Free Demo migration which will move a limited number of entities to your new live store within 30 mins. If you are ready to take your chance and move to far more robust solution, sign up and start your Free Demo now. ECommerce industry is waiting for this shake!